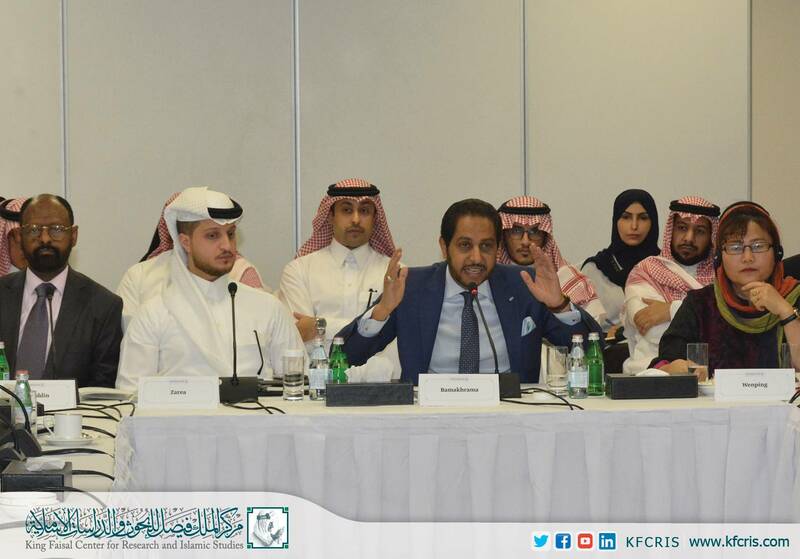 The King Faisal Center for Research and Islamic Studies hosted a conference on April 17th, 2019, entitled: "The Red Sea Region: Security, Economy, and the Future of the Entity of Coastal States," with attendance by Prince Turki Alfaisal, as well as a number of diplomats, researchers, and specialists. The first session discussed "The Security of the Red Sea and Internal Challenges," with participation by Prince Sultan bin Khalid Alfaisal, Riad Al-Jawaznah, Ali Al-Harthi, and Abdullah Mahmoud. Moderated by the Director of the KFCRIS Research Department Abdullah bin Khaled Al Saud. The second session discussed "Security of the Red Sea and External Intervention," with participation by Dhiya'a Bamakharma, Ha Wenping, Jalaluddin Mohammed, and Ali Al-Hindi. Moderated by Yousuf Zarea. The third session discussed "Between Political Stability and Economic Development in the Red Sea," with participation by Raga Al-Marzoqi, Mohammed Sbitli, and Raed Al-Baseet. Moderated by Majed Binkunein. The fourth and final session is entitled "The Future of the Entity of Coastal States to Red Sea and the Possibility of its Expansion," with participation by Sami Al-Saleh, Mohammad Noqali, and Tekeda Alemu. Moderated by Hesham Alghannam.